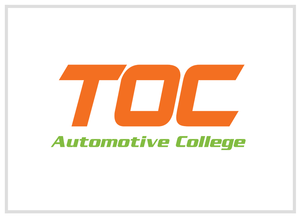 Following the successful signup of Tropicana Corporation Sdn Bhd and OSK Property, SalesCandy's third Early Adopter is the first from the education industry - TOC Automotive College. Established in 2004, TOC Automotive College is the pioneer in professional automotive education that ensures mobility and employability. TOC is rated five-star by MyQuest 2012/13 by the Ministry of Education. It is also recognised as a five-star Malaysian Skills Certificate training provider by the Ministry of Human Resource. TOC has been accorded premier status accreditation by Accreditation Services for International Colleges (ASIC), a recognition given to only five percent of the world’s automotive education institutions. A research done by the Harvard Business Review shows that an online lead contacted within an hour is seven times more likely to be qualified than one contacted after one hour. That is why we designed SalesCandy™ to instantly route leads to the salespeople’s phones directly. Unattended leads will be automatically rerouted to the next available salesperson after 45 seconds. It tracks various actionable metrics and instantly audits every lead status update and alert the sales managers of any possible follow-up issues and non-performing salespeople.